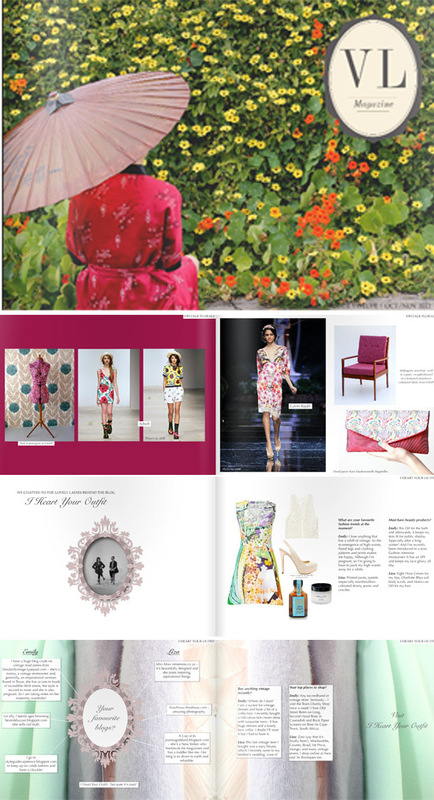 In December 2010, Vintage Lifestyle launched South Africa's first ever vintage magazine. We love it because its local - and because its free! It is an online magazine that is all things vintage. They describe their content as fashion, decor, art, photography, travel, literature, unique coffee experiences, beauty icons of the pre-80s era, and music. "Vintage Lifestyle is aimed at the young but also the not so young. They appreciate the finer things in life and will not be afraid to explore both the past and the future. They will be lovers of style. All the features look at how vintage enhances our modern lifestyle – the new with the old – to come up with a unique look or experience." See below a few pages of the latest magazine, Issue 12. We love the beautiful, simple design of the spreads. 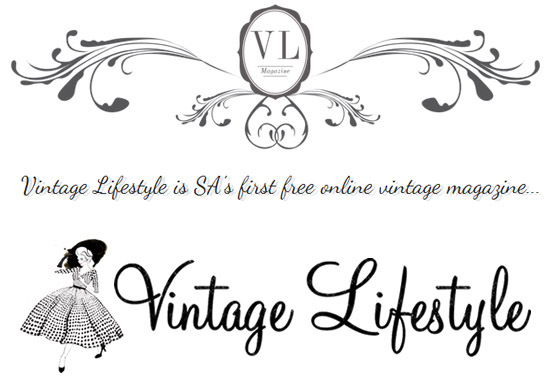 If you visit the Vintage Lifestyle site here, you'll find a blog that they update regularly with snippets of vintage life. If you want to read this magazine, CLICK HERE. It is now available on an iPad too! Enjoy!